Nick Diaz didn’t actually appear before the Nevada Athletic Commission on Tuesday but the governing body quickly approved his settlement hearing that will reduce his suspension from five years to 18 months after allegedly testing positive for marijuana stemming from his last fight at UFC 183 in January 2015. The commission brought up Diaz’s settlement agreement and quickly gave a unanimous vote to the order, but didn’t actually reveal the details or admit wrongdoing in the matter. Diaz’s settlement will see the fighter suspended 18 months, which will make him eligible to return to action as early as August 1, 2016. Diaz also had his fine reduced from $165,000 down to $100,000 as part of the settlement agreement. 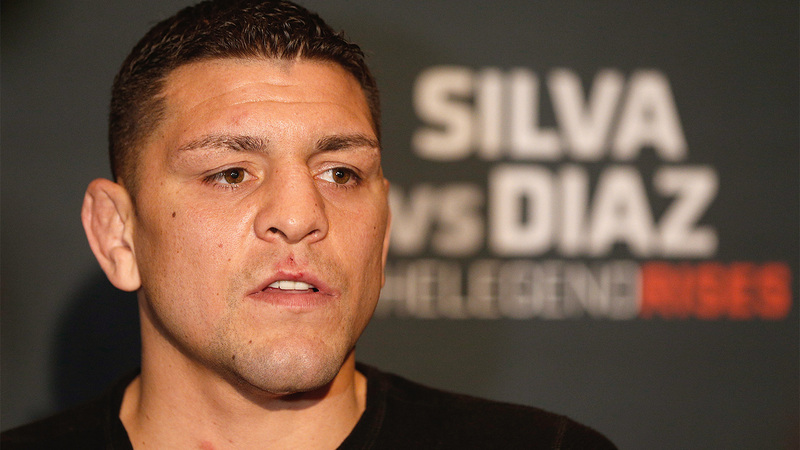 Diaz was originally suspended for five years at a commission meeting in September 2015 after allegedly testing positive for marijuana for the third time in the state of Nevada. The public outcry in support of Diaz went as far as an online petition that received a response from the White House after 100,000 signatures were collected. The commission declined to comment on the matter and with neither Diaz nor his attorneys present at the hearing, the entire order and vote took a matter of seconds before moving onto new business. "We cannot comment now because it is still an ongoing matter," Nevada commission officials told FOX Sports’ Heidi Fang, who was in attendance at the proceedings. Considering the ruling on Tuesday, Diaz could likely book a fight with the UFC for an upcoming event in August once those cards are scheduled by the promotion.